The Glendale Raptors Rugby Academy Under-23 team defeated BYU Rugby in their season opener Friday in a bitterly cold match, which featured hard-fought play from both squads, at Infinity Park at Glendale. 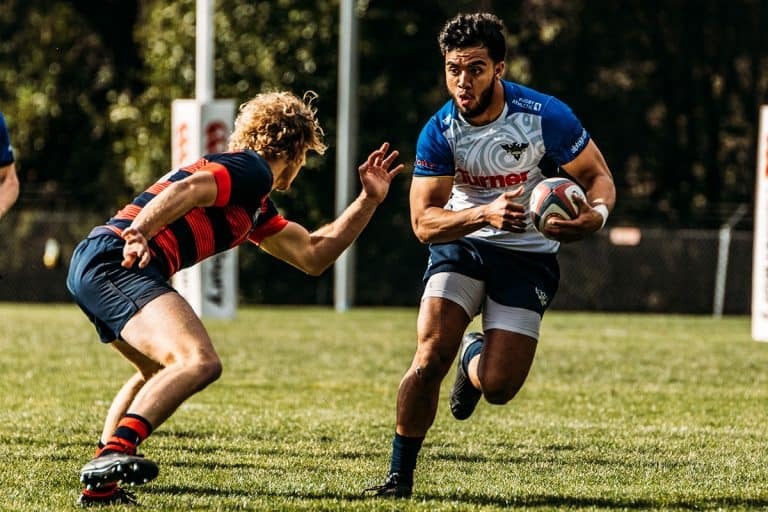 The Glendale Raptors Rugby Academy Under-23 team defeated BYU Rugby in their season opener Friday. The bitterly cold match, which featured hard-fought play from both squads, was played on Infinity Park’s turf field. BYU traveled from their home in Provo, Utah with plans to face three Colorado teams. They played against the University of Colorado on February 8 before taking on the Raptors Friday evening. Their final game, facing Colorado State University, was canceled due to inclement weather. In spite of the frigid temps on Friday, the Glendale team came out hot, scoring tries at 5 and 21 minutes while keeping BYU’s attacks in check. The opposing team broke through Glendale’s defense with a try and conversion at 27 minutes, but the Raptors answered in kind in the 36th minute. Seconds later, Glendale’s outside center Mika Kruse scored and converted after an impressive 60-yard run. The Raptors went into halftime with a 24 to 7 advantage. BYU drew first blood following the break, with a try and conversion in the 54th minute. The rest of the game would belong to Glendale, however, with the team mounting four additional scoring drives ahead of the closing whistle, including back-to-back tries from forward Pat Conway to seal the victory. The 49-14 final score tells the story of a win well earned. The Raptors named Jack Miller the Player of the Match. Glendale’s Division I Merlins team enjoyed a bye over the weekend and is preparing for a return to Texas on February 17 when the team will be matched against the Austin Huns. Supplementing with players from Glendale’s Under-23 team has been strategically beneficial for the Merlins so far this season, working to fill numbers and to expose the younger players to high-level competition. The U23 squad will have next weekend off, before traveling to Moraga, California on Feb. 24 to take on St. Mary’s College. The team will have its next home game against the University of Wyoming on March 3 at Infinity Park. Glendale’s first Division I home game is March 10, when the Merlins will face off against the Austin Blacks on Infinity Park’s Turf Field at 3pm. All Raptors U23 and Merlins home games will have free admission this season. Follow both teams on Facebook and Twitter for full-time scores on all games and additional information. 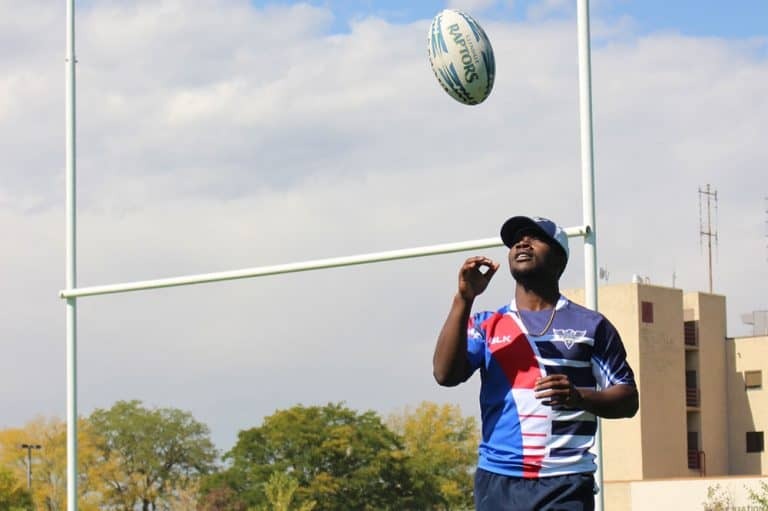 Six-time All-American track star Travion Clark sought the Glendale Raptors himself. The Raptors are drawing the eye of athletes from other disciplines. One of the things we tweaked recently was our Glendale Raptors Rugby Academy, an elite development program for our younger players – under 23 years of age.